Mark Wheeller is a writer and part time Executive Director of Arts at the Oasis Academy Lord’s Hill and director of the Oasis Youth Theatre. Although his name is not well-known outside of schools and colleges, he is one of the most-performed playwrights in Britain. 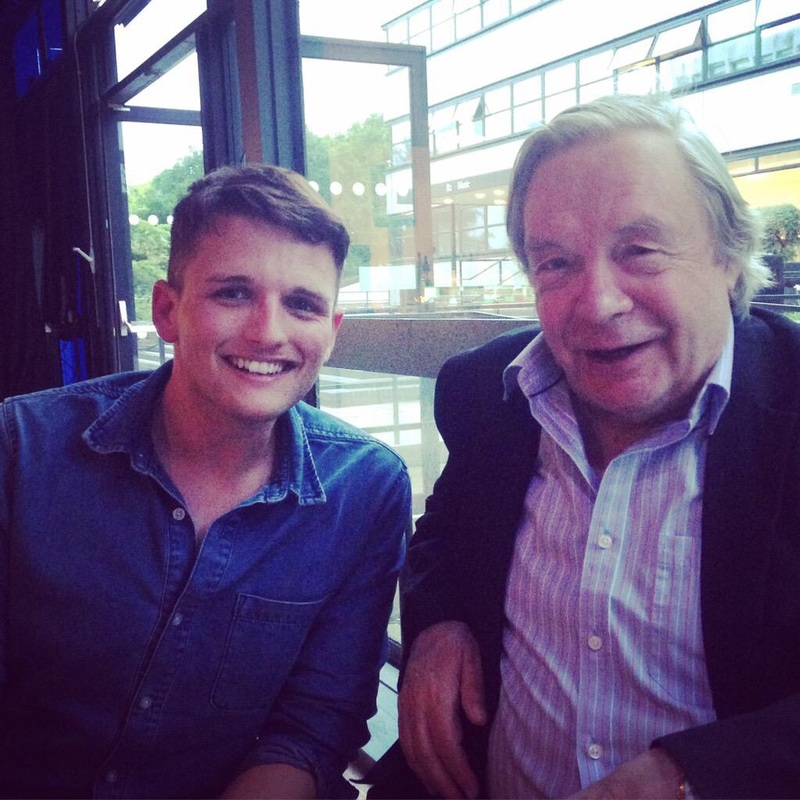 He is a champion of young people’s work and theatre in education more broadly. I thought it would be nice to catch up with Mark to see exactly what’s happening. And I was right – it was very nice indeed. Hello Mark! What are you doing at the moment? Literally at this moment I’ve just returned from a school who have some GCSE students working on one of my plays “One Million to STOP THE TRAFFIK” and I was there to have a look at what they’d done and to offer them some ideas as to how they might improve their response to it. I haven’t seen or thought about that play for about six years and it was, as it nearly always is great to see fresh pairs of eyes on the play presenting it very differently from how we did. So it made me re-examine those words and find new things. I’ve also just bought a new car and for the first time have a hybrid car where is runs partly on electricity… this has led to a number of learning curves. What is ‘I Love You Mum’ about? It’s the tragic story of Daniel Spargo-Mabbs a sixteen year old lad from Croydon who went to an illegal rave without his parents knowing, took MDMA, unknowingly a double dose and two days later his parents were at his bedside giving permission for the Dr’s to turn off the life support machine. Dan was a popular and able boy and it was a surprise to everyone that he had become a victim to MDMA. His parents are determined that some good should come out of this dreadful situation and through the Foundation set up in his name (Daniel Spargo-Mabbs Foundation) commissioned me to write a play telling the story. The original idea was that his school would put the play on but it soon became obvious that some distance (emotionally and geographically would benefit the project) and so my Oasis Youth Theatre were offered the chance to premiere the play. We have been working on it for the last year and a half. It has been in incredibly powerful project to be involvement. It has been about stickability rather than ability in terms of those who will be in it. They have had to be so committed over such a long period of time. We also have incredible back up with a professional set designer (Richard Long), musician (Paul Ibbott), who has written a musical underscore, and multi-media expert (Danny – Gagging for It – Sturrock). This team have worked tirelessly to produce the most incredible support to our work and add so much to the final result. I think the professional Theatre would do well to compete with the time we have been able to find to put into the production… and therefore the result. Do you think about National Curriculum potential when you’re writing? Of that catalogue of 100 plays you have, how many are mega successful? I never think about the National Curriculum. My productions have been written because I found it so hard to find scripts I liked for my Youth Theatre work. It seemed a daunting task to find a script that was just what we need as a group. It seemed to be easier to write what I fancy directing and then, as they are brand new, everyone in the production feels a greater sense of ownership. It has been other peoples idea to include them in the curriculum. It depends on the definition of “mega successful”. I have never had anything on the West End. I’d love that to happen. I have never had a professional adult group perform any of my plays in a major provincial Theatre. So… who has been performing my plays. Mostly a few Theatre in Education groups (professional) touring schools, prisons or the workplace. Also, as a result of these groups drawing attention to my work Youth Theatres and school have picked up on my plays and presented their own versions of them. In the late 1990s they started to be used in GCSE. A/S and A’Level exams (mostly unbeknown to me) and from that two (Missing Dan Nolan & Hard To Swallow) have been taken on as set texts by two of the four boards offering the new GCSE Drama (9-1) exam. I guess that’s pretty successful to have these plays emerging from an unfunded provincial Youth Theatre where all the other contemporary plays have come from the professional world. I’m very proud of that! Of all my others (there are 28 in all) only two have notched up more than 100 performances, but that’s partly the fact they haven’t (for the most part) been out as long! I would be intrigued to know whether any of these would qualify as the most performed contemporary plays? Are the arts doing enough to nurture and support young talent? Not sure that “the arts” can do this. People can do this… people who are in the arts. I imagine they are. Are those people given enough support/resources? No. The arts have a general thing of surviving no matter what… as well as a good thing that can be a bad thing… as with or without funding arts will thrive… because people enjoy participation. I’d love to see a more foams programme that is well funded from the grass roots. I think football has a great model, where, with football in the community there are lots of opportunities for young people. It would great for this to be applied to Theatre and the arts… but it’s beyond me to know how to organise this. Do you think decent theatre needs an undercurrent of sorrow? It seems that mine does. I’d love to write a good comedy. I don’t have the ability. No I don’t think it needs it. I think my work does it because that’s what I think I do best. As I say I’d love to be able to do a good comedy. I have been so pleased to see my son Charlie working with his Barely Methodical Troupe on some wonderful comic moments, and my Daughter Daisy in her musical Theatre work being much more light hearted than my better known “stuff” is. All power to them. And what else do you have coming up this year? I have two premieres in one month. I Love you Mum (The Brit School 29th March 3pm) and Scratching the Surface at a One Act Play Festival in the Midlands on March 6th), which is about self harm. In May I have been told there will be a premiere of my verbatim play Kindness – A Legacy of the Holocaust written with Voices Director Cate Hollis, who directs this production. A couple of International Schools have asked me to visit them in the next academic year… which gif it happens will be very exciting. I’ve never been to Malaysia… and before that my wife and I are off on holiday to Cypris where Daisy is singing in one of the Thompson Gold Hotels! So… and exciting year in prospect. The six week course begins in September and costs £90. 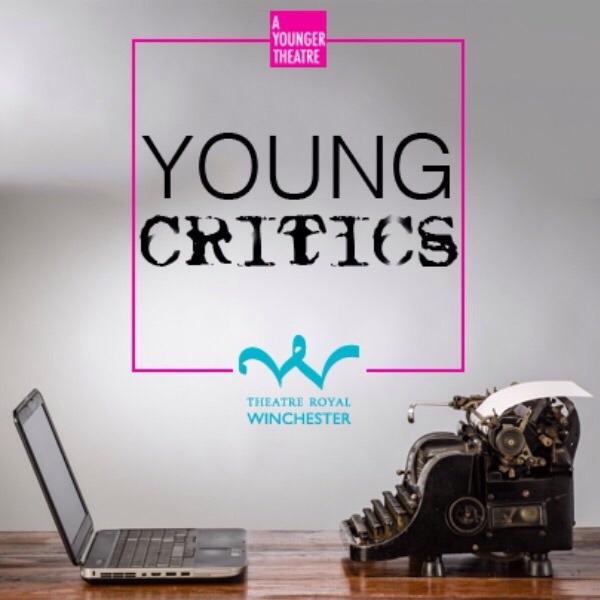 The course fee includes all sessions and additional ticket offers to shows at other regional venues (including Theatre Royal Winchester, The Mayflower, Southampton, Salisbury Playhouse and Nuffield Theatre) To book call Theatre Royal Winchester box office on 01962 840440.